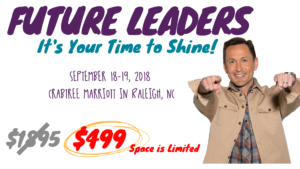 Join us for our 2018 Future Leaders Seminar at the Raleigh Marriott Crabtree Valley! Conducted by Ally’s own industry experienced and certified facilitators, this seminar covers how to increase profits and customer experience while reducing turnover. This is an excellent opportunity to learn how to attract top talent and build a team of effective leaders for the future. Do not miss your chance to attend! Registration is $499 per attendee. Please note: If you need overnight accommodations for September 17th & 18th call 1-800-Marriott and ask for the NCADA Meeting rate of $169.00 by August 27th.